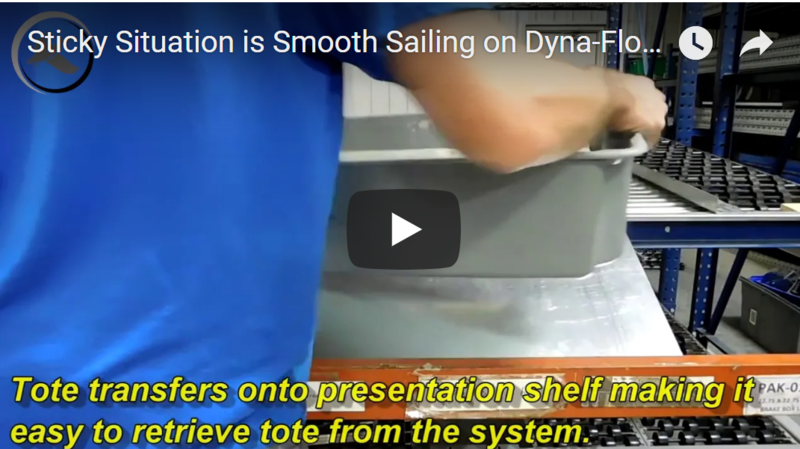 As shown in this short and simple test video, the Dyna-Flo HD carton flow system worked without issue for this inventory. 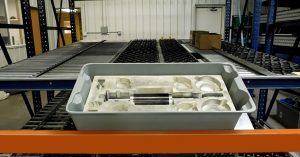 Two elements of the inventory that were helpful in the success of the test are 1. the inventory is housed in an insert within the tote to keep it from shifting and therefore preventing damage and 2. the totes are flat bottomed. Flat bottomed totes typically do not show issues in and of themselves within carton flow rack, however, if this product were loose within the tote, we’d want to do a second test to ensure the shifting product wouldn’t hinder the flow particularly at this lane pitch. 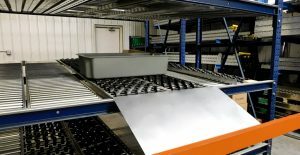 Dyna-Flo HD is the strongest, most durable carton flow rack that Mallard manufactures. It’s unique design provides complete edge to edge coverage that eliminates dead space common in other carton flow applications. You get wheeled coverage for the entirety of your rack bay no matter how wide… from 48” all the way to 144” out to out. Note, that’s edge to edge and between the tracks! It is designed using 1.9″ polypropylene skate wheels set in a staggered pattern to ensure efficient flow and optimum coverage of inventory of varying sizes. Dyna-Flo HD offers up to 50 lb. sq. ft. capacity per 8 ft. unsupported length. If you are going to use your system for multiple SKUs we recommend adding carton flow guides or lane dividers to provide the most optimized use of the system for fast, accurate loading and picking. The Mallard in-house testing lab it open for business so bring us your “sticky” warehousing challenges! We’ll get right to work designing a gravity flow solution that is just right for you and your precise material handling needs.